IDF launches Operation Protective Edge in Gaza, conducts airstrikes over terror targets. Hamas threatens with “earthquake”. The IDF has launched “Operation Protective Edge” in Gaza, in order “to stop the terror Israel's citizens face on a daily basis,” the IDF Spokesperson’s Unit said on Twitter Monday night. As part of the operation, Israeli media reported, the Israeli Air Force (IAF) launched intensive airstrikes on targets in Gaza. “Hamas will not be safe as long as it continues to threaten the lives of Israeli civilians,” tweeted the IDF. Witnesses and security officials told the AFP news agency that nine people were wounded in Monday night’s airstrikes. The IDF Spokesperson's Office said on Tuesday morning that 50 targets in Gaza were hit, including the homes of four Hamas officials. 4. Hassan Abdallah - Hamas official in Khan Younis responsible for the current round of rocket fire on Israel. Meanwhile, Hamas’s “military wing”, the Izz ad-Din al-Qassam Brigades, threatened to cause “an earthquake” and expand the range of its rockets following Israel’s airstrikes in Gaza. The decision on the operation was made by the Cabinet after the rocket fire escalated dramatically on Monday. 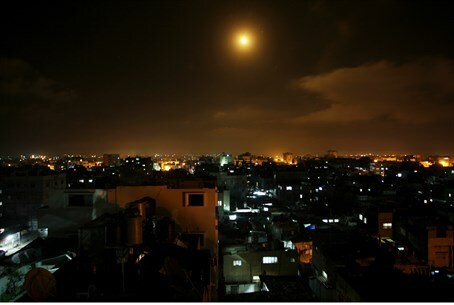 As of 10:30 p.m., the number of rockets that were fired towards Israel stood at over 80, including over 30 rockets that were fired in a ten-minute period between 8:00 p.m. and 8:10 p.m. Rocket attacks continued in the overnight hours Monday, with at least five rockets exploding in open regions in the south. Sources said earlier Monday that regardless of Israel's actions, it was possible that Hamas would expand the range of attacks against Israel and could possibly target Tel Aviv and other cities in central Israel.